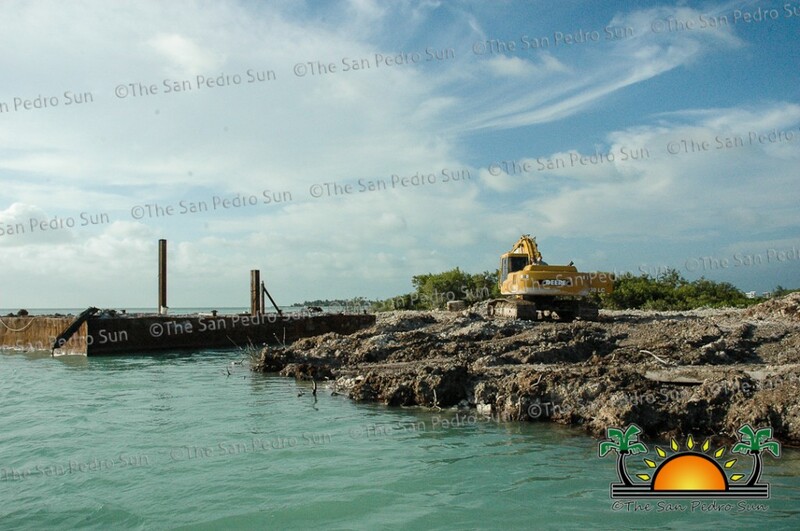 The San Pedro Sun can confirm that dredging is taking place in an area north of the San Pedro Marina Channel (located south-west of Ambergris Caye). 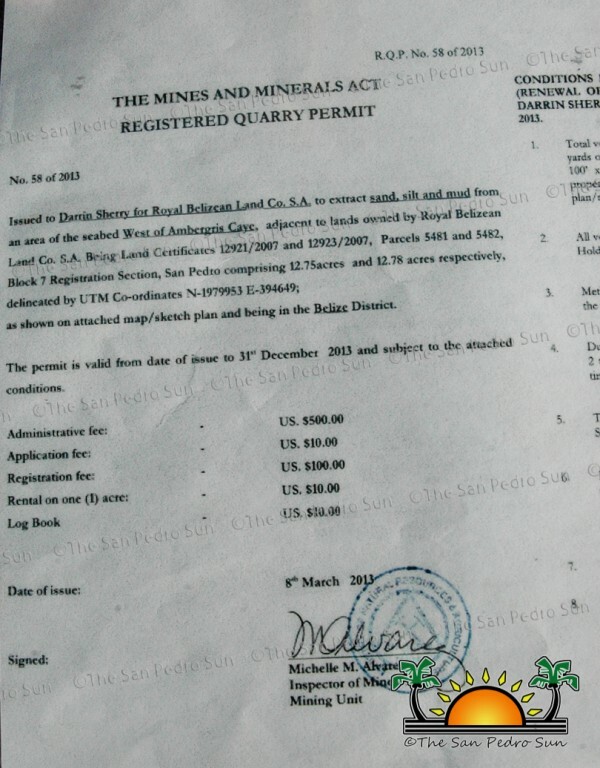 The person to whom the dredging permit has been issued to is Darrin Sherry for Royal Belizean Land Co. S.A. 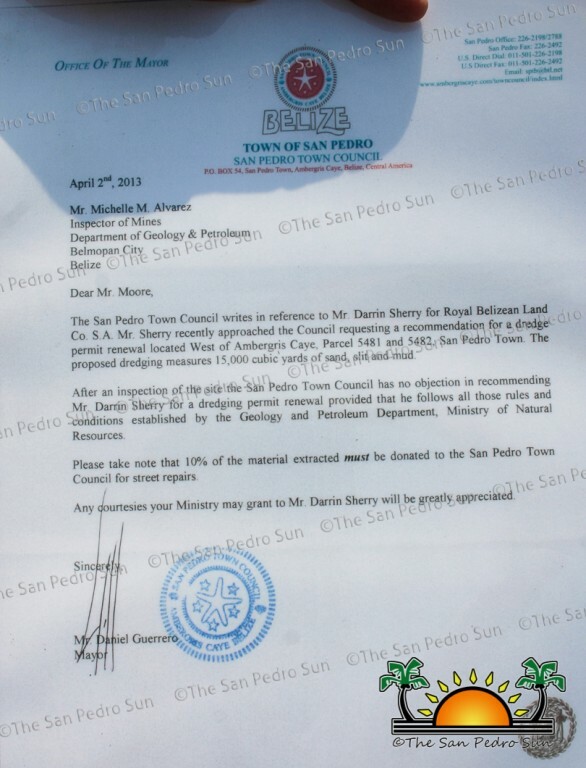 The San Pedro Sun can also confirm that the recommendation was granted by the San Pedro Town Council (SPTC) and signed by Mayor Daniel Guerrero on April 2, 2013. 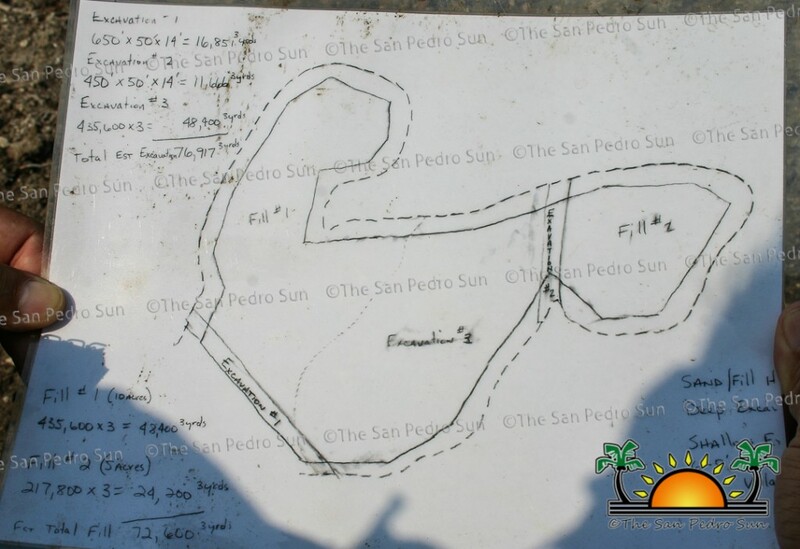 Documents obtained by The San Pedro Sun shows that the owner of Lot Number 5481 and 5482 in the San Pedro Registration Section intends to dredge a total of 76, 917 cubic yards of sand, silt and mud. However the person has divided the dredging into three phases; the first will see 16,851 cubic yards of material dredged, the second 11,666 cubic yards and the third 48,400 cubic yards. It is interesting to note that the law requires an Environmental Impact Assessment (EIA) for any dredging exceeding 50,000 cubic yards of material. 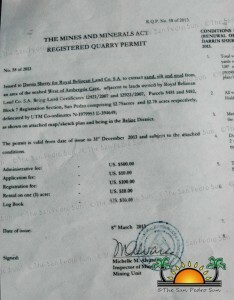 On March 8, 2013, the Government of Belize, through the Department of Natural Resources and the Environment approved a mining (dredging) permit which expires on December 31, 2013. 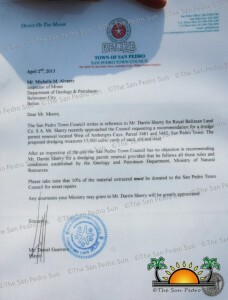 The permit was granted a month before Sherry received the recommendation from the SPTC. The permit (for extraction) indicates that not more than 16,000 cubic yards of material shall be extracted from burrow sites around the properties in question. 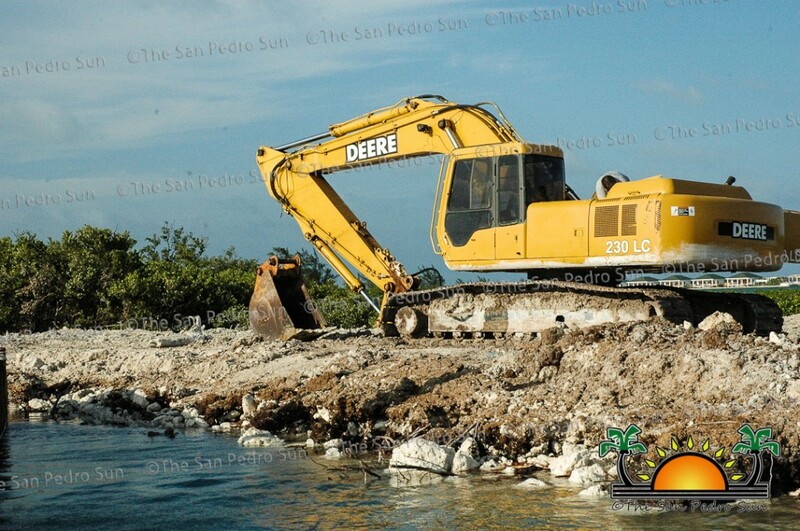 Besides dredging, the owners are also filling a mangrove area. 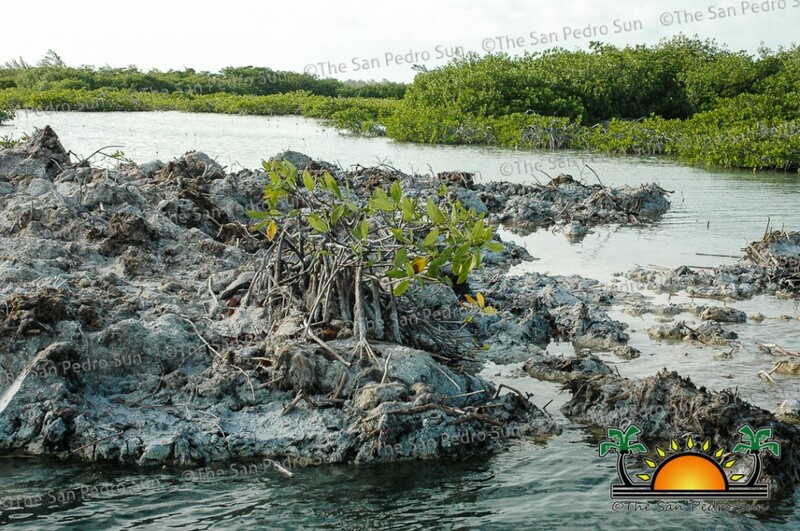 At this point The San Pedro Sun is unable to verify if the person has been granted mangrove clearance, or if an EIA has been conducted for the extraction of material from the area. 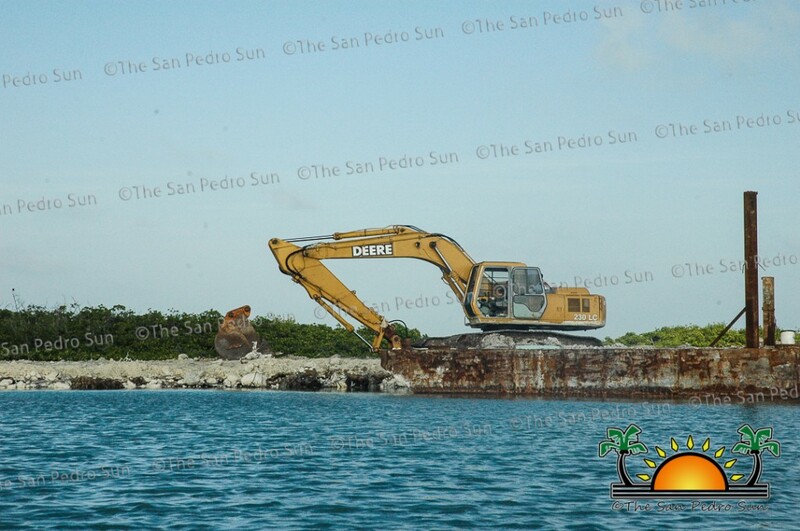 Dredging has commenced and already some local sports and traditional fishermen have begun to express concern about activities in the area. According to several fisher-folk in the area, located directly south by southeast of Cayo Espanto or south of Cayo Romero on the leeward side of Ambergris Caye, is prime habitat for two species of fish protected by fishing laws in Belize. The area is known as one of the main habitats for juvenile permit fish and bonefish. The shallow area is no more than two feet in depth and is used for sport fishing as it is considered bonefish ‘tailing’ (the water is so shallow the fish tails can be seen) grounds. The San Pedro Sun will continue following this story.